Government owes £4 trillion in state pension payments – should you worry? The UK’s total pension liability rose to £7.6tn between 2010 and 2015 – an increase of £1tn, a new report from the Office of National Statistics (ONS) shows. 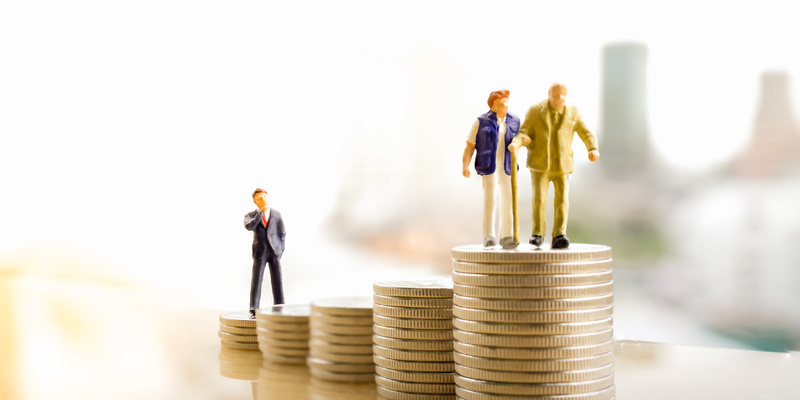 Pension liabilities are the total amount of money that state pension, public sector pensions and company pensions have to pay out to people once they retire in the future. Worryingly, only one third of the money that needs to be paid out is actually sitting in the bank. Some £2.3tn of pensions that already exists in a pot rests in occupational schemes, including £2tn in private sector defined benefit schemes, £0.2 tn in trust-based defined contribution schemes and £0.1 tn in annuities. A remaining £0.3tn is held in the Local Government Pension Scheme which is a ‘funded’ public sector pension. The rest of the UK’s pension liability is unfunded – meaning that it is not currently held in a central pot and, simply rests on a promise that the government will have enough money to payout in the future. The state pension makes up over half of the UK’s pension unfunded liability and hit just over £4trn tn in 2015. A further £0.9 tn is held in the unfunded public sector pension schemes. Which? takes a look at the difference between funded an unfunded pensions schemes and whether you should be relying on your state pension for your future retirement income. What is the difference between funded and unfunded pensions? Public sector pension schemes are divided into two types, funded pension schemes and unfunded pension schemes. A funded pension scheme is one in which a company stores contributions from its employees in a separate fund so that there is a definitive pension pot to pay people out of when they come to retire. This includes the Local Government Pension Scheme. An unfunded pension schemes, on the other hand, is when a pension scheme pays it’s pension out of current income rather than having a separate designated fund that is contributed to over time. These types of scheme rely on a promise by the Government to pay out a pension when you retire and includes the NHS, Civil Service and Teachers’ Pension Scheme. Can I rely on my state pension? The state pension is a weekly payment from the government that you receive when you reach state pension age. The amount of state pension you get may differ depending on when you retired and how much you contributed to the additional state pension. According to a report by the Pensions Policy Institute, which was sponsored by Age UK, state pension is an important part of retirement income for all savers. Most retirees currently rely on state pension for over half of their income, with the poorest retirees relying on state pension for 78% of their income. The future of the state pension has been of concern, as a recent report from the Government Actuary Department forecast that without intervention, the ‘National Insurance Fund’ – which collects National Insurance contributions to pay out benefits, the largest of which being state pension – will run out as early as 2032. So while the state pension could form part of your retirement income at the moment, it’s advisable to consider other options as well when planning your retirement savings. Should I take a workplace pension? A workplace pension (or company pension) is one that’s arranged for you by your employer. they work by you paying a percentage of your salary into the pension scheme each time you get paid. Since 2012, all employers have had to offer a pension scheme to staff through a scheme called auto-enrolment. The scheme was rolled out to address the problem of people not bothering to join their company’s pension scheme. All workers who earn above £10,000 a year will be automatically enrolled into a pension but have the ability to op-out. The benefits of workplace pension schemes include your employer’s and the governments additional contribution to your pension pot which can really boost your retirement savings. Another benefit is that your workplace pension contributions are eligible for pensions tax relief, which is a bonus from the government to reward you for saving for the future. For more information about pension tax relief works check out our short video. While saving for retirement can seem daunting, starting early and planning well are key to securing income for the future. For help and useful tips on how to get your retirement savings started take a look at our guides on how much do you need for retirement and planning your retirement savings at different ages. You can also find out approaches that people have already taken to fund their retirement in our short video.